The formats business is booming in 2017. What are the new horizons for format creators? 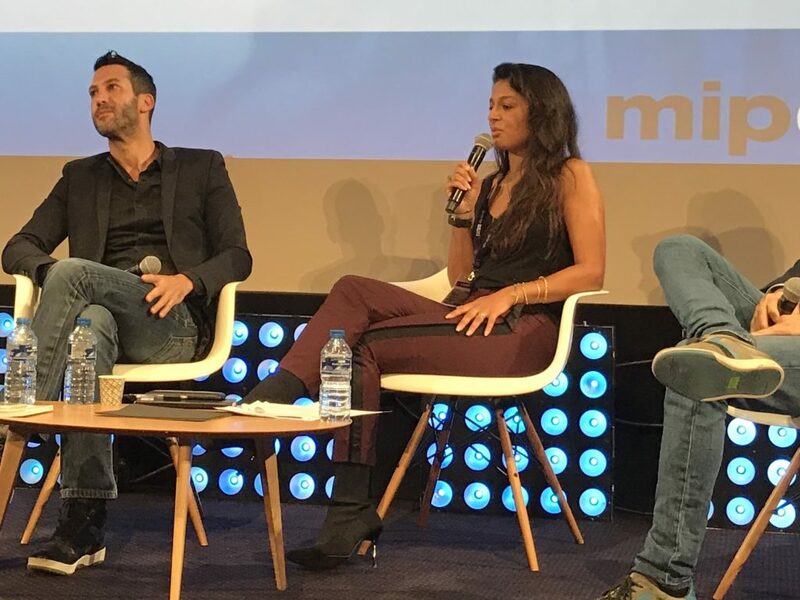 Two panels at MIPCOM this morning discussed trends and inventive new ideas, starting with a session exploring new horizons for format creators. 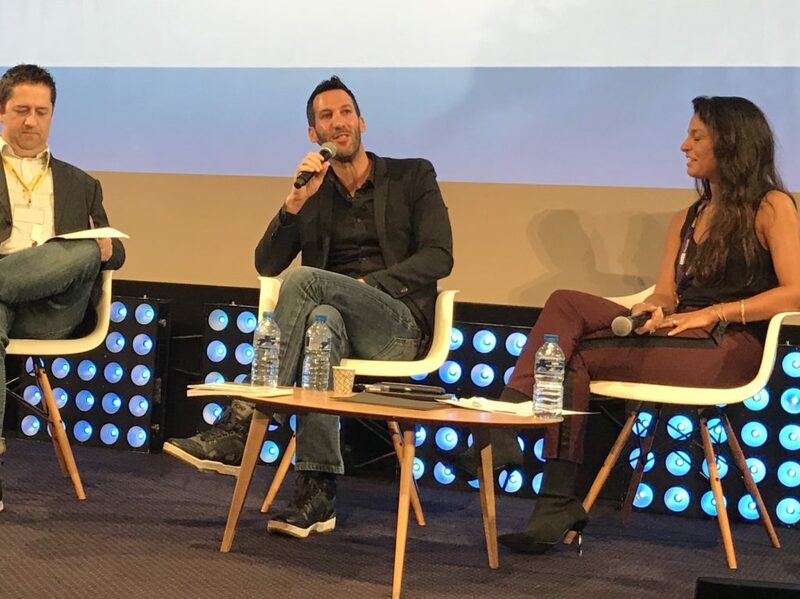 Its panel included Sumi Connock, creative director of formats at BBC Worldwide; Sergio Sancho, founder and MD of Phileas Productions; and Assaf Blecher, SVP development and content at Keshet Broadcasting. The moderator was MIPCOM Daily News reporter Andy Fry. Blecher started by talking about Masters of Dance, a musical game-show that was three years in the making. “We knew that we wanted a dance show for the network in Israel. We knew that we wanted something authentic, something dramatic. Something that is real. There are a lot of dance shows out there in the market, so we wanted something specific for us,” he said. “It’s a format, it’s a competition show, a talent show. However we wanted to find some dramatic engines that will keep it very authentic and dramatic,” he continued. Three in particular: the real-life dance-company directors who act as mentors; the passion of the contestants; and the group dynamic as they work together in a team. “That created dramatic and emotional moments that the creators of the show didn’t expect to happen. It’s surprised us,” said Blecher. Connock talked about the landscape for talent shows. “How do you define talent show? We do Bake Off, which you could also say is a talent show, but wrapped up in a different way,” she said. Meanwhile Sancho stressed that the live aspect continues to be important to these formats, before the conversation moved on to factual entertainment, led by Connock, who talked about Astronauts: Toughest Job in the Universe, which started airing in the UK in September. She added that factual entertainment is proving its value at having a big ratings impact, at a lower budget than the big studio shows. Sancho then led out the third section of the session, talking about a “high-volume low-cost” show recently commissioned in the UK from Phileas Productions, called Don’t Say It, Bring It, where the studio is the streets, with a roving host challenging passers-by to bring him the answers to questions. “We were really surprised and very happy,” said Sancho, of selling a format into “such a creative market as the UK” from Spain. The Weakest Link is also returning, but with less of its famous ‘mean factor’ from its original host in the UK. “It’s come back with a much more comedic tone. We’ve done it in France, we’ve done it in Finland, they’re bringing it back in the UK for a Children in Need special,” said Connock. Sancho noted that networks are taking less financial risks, but called for broadcasters to look beyond just reboots in this genre – and for producers to provide the formats to help them take that risk. “It’s our challenge to prove to the networks that they are wrong and should still go for new creative formats. That’s our challenge,” he said. Meanwhile, Blecher said the Israeli audiences don’t like reboots: they prefer new shows and formats. “Israel is very demanding in general! But the audience is very savvy, they know TV, they watch TV from all over the world. They know even if you buy a format, that it’s out there,” he said. Sancho also talked about the need to work in a more collaborative way with other producers, following the trends in the scripted world, and suggested that the next frontier for entertainment shows will be video-streaming, and persuading services like Netflix, Amazon and Hulu to divert some of their original-content budgets away from just scripted drama. The panel finished off by politely declining to pinpoint specific format areas for innovation. “If it’s a good idea or good content, then no matter what it is: a game show, factual… the key thing is the idea,” said Sancho. “Yes I agree, you want new, different, exciting. Something that’s just going to cut through,” said Connock. “When you recognise one and you find it, you know it,” agreed Blecher. Later, we attended the session on Originals, the Quest for Brand-Defining Content. 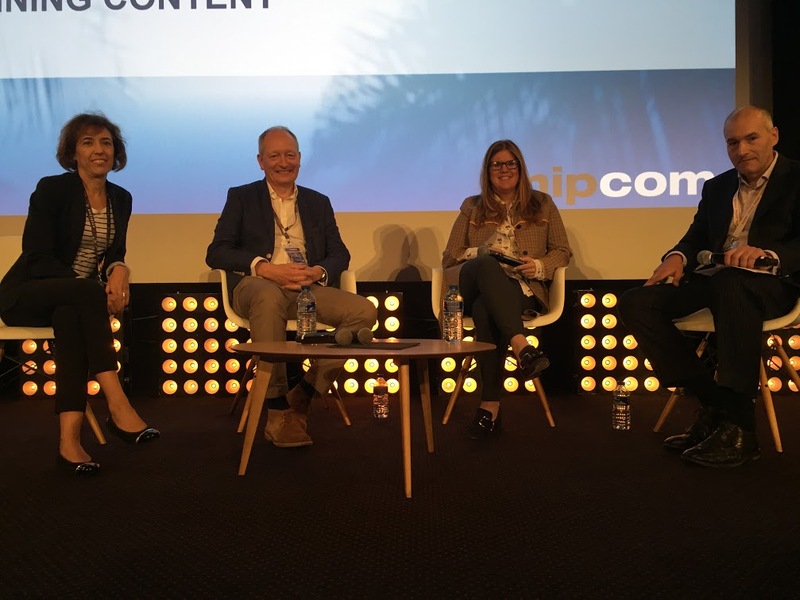 Above, from left to right, the panel included Atresmedia’s TV director of acquisitions and sales, Mercedes Gamero; Jeff Ford, MD and SVP content development of Europe and Africa for Fox Networks Group; and CEO Katie O’Connell Marsh of Platform One Media, a Liberty Global company. It was moderated by Ampere Analysis‘ research director Guy Bisson. To find the next big hit or brand-defining content, many broadcasters are focusing more on owning exclusive, original IP, and the ones who spoke today are excellent examples of this trend, which in many ways was sparked by the disruption of Netflix. At the time all this was happening, Marsh herself worked at Gaumont, which created Netflix originals Hemlock Grove and Narcos. Studios “looked to companies like Gaumont because we were willing to do business with Netflix in a non-traditional way,” she said. Fox Networks, meanwhile, got into originals because “it was harder and harder to buy good quality shows at the right price,” according to Ford. “It was a global decision to create our own content and feed our own channels,” which could be exploited over a longer term and across more platforms without licensing lag. Originals from more nimble studios aren’t themselves the biggest sea change, however; the type of content succeeding in the international market has also changed dramatically. Much is made of how local creators “globalise” their storytelling, and Atresmedia provides one of the best case studies. The Spanish company’s storytelling now sees its shows, like Locked Up, distributed on the UK’s Channel 4. And Spanish mini-series The Time in Between is streaming on Netflix, along with shows like Apaches. Her statement echoes yesterday’s keynote from Movistar+’s Domingo Corral, another Spanish company going all-in on local content that resonates in the global market: A kind of soft colonisation to challenge the hit American series that long dominated so many other countries. Wrapping up, discussion turned toward keys to success. “If you don’t have one voice, you’ll just rip it all apart,” Ford agreed.